Kayla is almost at her wits’ end. Her ex-husband is a loser of massive proportions, and it just so happens that she attempted to drown him. Ridding herself of his insanity has left her alone to work the business his family built together and raise her four small children alone. With a more than just supportive family of in-laws who actually favor her over their own son, Kayla is making her way in the world one day at a time. A chance meeting with the officer who cuffed her during that lapse of better judgment turned drowning incident leads Kayla down the path to a life she thought was no longer in the cards for her. Marc, like the other male figures in Mays’s series, is a wonder of nature. As Mays churns out one stunning adjective after another to describe his physique, readers are left wondering how this could still be considered a realistic fiction piece–he is almost too good to be true. 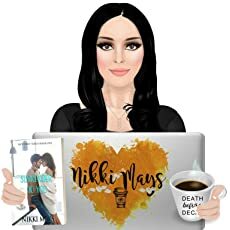 Mays is a pro at making her male main characters into loving and caring men who still manage to exude a rough exterior–they are dreams come true. This is only one of the many aspects of Mays’s writing that make her books so exceptionally readable and easily favorited. Mays is queen of the banter. Her dialogue between characters dominates the pages and makes the book what it is–a masterpiece of romantic comedy. 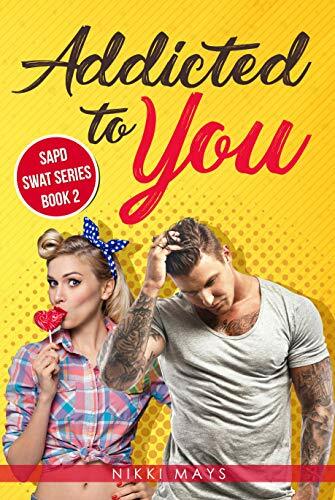 While she includes a good bit of the traditional romance elements in her writing, she is able to make her characters jump off the page as they bicker back and forth, hurl jovial insults, and generally function as one loving unit of friends-turned-family. Mays’s writes for her books to be enjoyed and for her characters to be remembered well beyond the last page–she achieves that, no doubt.